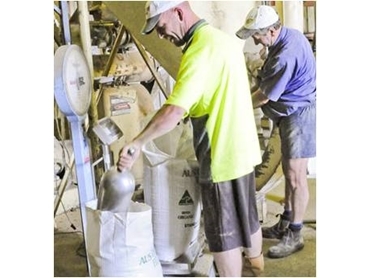 Available now from Aus Organic Feeds , Organic Brominy is a grain based supplement feed for beef cattle, available in 25kg bulk bags. Organic Brominy supplement cattle feed is designed to be fed at levels to supplement cattle when pasture availability is low or scarce. This supplement feed can be fed at high levels (up to 10 kg per head per day), however does require a proper pre-conditioning programme beforehand to avoid digestive upsets. Aus Organic Feeds can be contacted for further advice on this. This supplement cattle feed is available in a 10mm pellet.